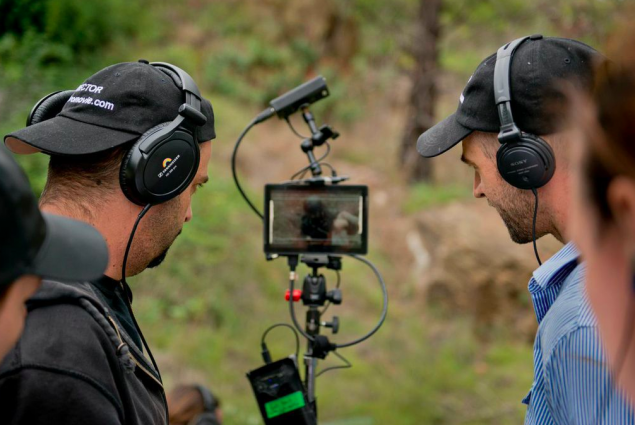 Local filmmakers Ché Baker (pictured right) and Dallas Bland (pictured left) believe that Canberra has the potential to become one of Australia’s most sought-after filming destinations. The pair are currently filming their debut full-length feature film, a post-apocalyptic sci-fi flick titled Blue World Order, on location in Canberra. They hope to use the film to help create an ongoing, sustainable film industry in the nation’s capital. “People get to a certain skill level and then leave town because there’s no industry for them to work in. We want people to stay in Canberra, and we want the industry to evolve so that filmmaking talent stays here too,” Ché says. 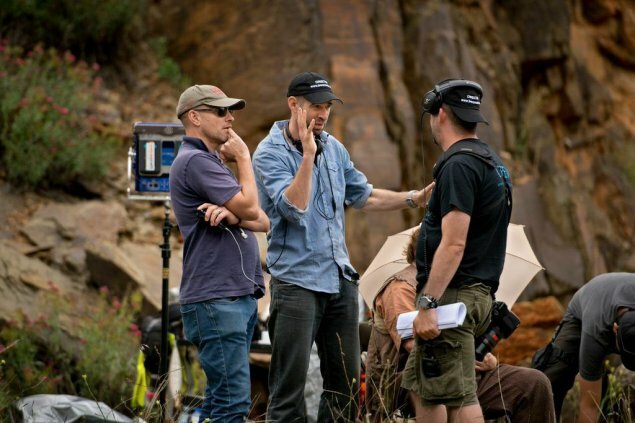 Dallas says that the sunshine, lack of traffic and easy commute between diverse filming locations mean that Canberra is a good place to make films. And while he admits that the foundations don’t yet exist, he is confident that it is only a matter of time before other feature filmmakers want to start shooting in Canberra too. “Creating films is an expensive and difficult logistics exercise, and you can’t create an industry where the foundations don’t exist. Most films get made in areas where there are big production studios, where it’s easier to plug into the machine. What we’re doing is building the machine,” he says. He explains that filming in Canberra comes with its own unique challenges and opportunities. “In some respects it would have been easier to shoot in Sydney or Melbourne, but making a film in Canberra has its own benefits too. Canberra has so many diverse locations in a small geographic area. It’s a 20-minute drive from the city to the bush to pine forests and open spaces that resemble post-apocalyptic wastelands, which means that we can get to several locations in a day and several different environments. In other cities, shooting at that number of locations might take two or three days,” he says. When we spoke at the end of last week, the pair had almost wrapped up their third week of filming. Dallas says it has been gratifying to watch the film slowly come to life. “Our team of cast and crew have brought the film to life in a really exciting way. It’s better than we could have imagined,” he says. Blue World Order’s cast and crew have worked on films including The Hobbit, Mad Max, The Great Gatsby and Underbelly. Aussie screen legend Bruce Spence plays a deranged torturer named Whippet, while author Matthew Reilly has come on board as a producer. Dallas says that they have been able to attract top talent because of the film’s unusual concept. “Our debut feature film is a high concept sci-fi action adventure, which is extremely rare, particularly in Australian filmmaking. It’s really excited people for its ambition and ‘cool’ factor,” he says. Ché and Dallas both have extensive experience in film and television (Ché has worked in the industry for over 15 years, with credits including The Hobbit and Dawson’s Creek; while Dallas has acted in over 70 screen productions), but they say that deciding to embark on a full length feature film project was a “leap of faith”. “You really have to back yourself. All of this creative stuff, which we love to do, directly competes with us making a living doing corporate work. It’s important to have a good partnership where you can support each other,” Ché says. To find out more about Blue World Order, visit the Facebook page or website.